Vernon Ferdinand Dahmer was born on 10 March 1908 in Forrest County and became a leading figure in the local civil rights movement. Dahmer owned a two-hundred-acre farm, a grocery store, and two mills in the Kelly Settlement area of northern Forrest County. He also farmed cotton commercially on three hundred additional acres. Dahmer directed music and taught Sunday school at Shady Grove Baptist Church and became a respected figure in the black community. Dahmer’s economic independence enabled him to organize local blacks and support indigenous civil rights programs without fear of white financial reprisals. He served several terms as president of the Forrest County chapter of the National Association for the Advancement of Colored People and led a campaign to obtain the release from prison of Clyde Kennard, a friend who had been jailed on fraudulent charges after applying to the all-white University of Southern Mississippi. In addition, Dahmer fed, lodged, and supported Student Nonviolent Coordinating Committee volunteers who worked in the Hattiesburg area during 1964’s Freedom Summer. Dahmer realized that the vote represented the best opportunity for blacks to obtain full equality in Mississippi, so he initiated a registration campaign in Forrest County after the Voting Rights Act became law in 1965. He placed a county voter registration book in his store so that blacks could register without fear or intimidation and offered to pay the poll taxes of anyone who could not afford to do so. His activities infuriated white supremacists, who targeted the activist for assassination. During the early hours of 10 January 1966, two cars filled with Ku Klux Klan members attacked the Dahmer home while Vernon; his wife, Ellie; and three of their eight children slept. The Klansmen riddled the house and Dahmer’s nearby store with shotgun blasts and threw Molotov cocktails into the buildings. Vernon grabbed a rifle and shot back at the assailants from within the inferno as his family escaped, suffering severe burns to his head, arms, and upper body. From his hospital bed, he justified his civil rights activities by stating, “If you don’t vote, you don’t count” because “a man has to do his own thinking.” Dahmer died of smoke inhalation on 11 January. Pres. 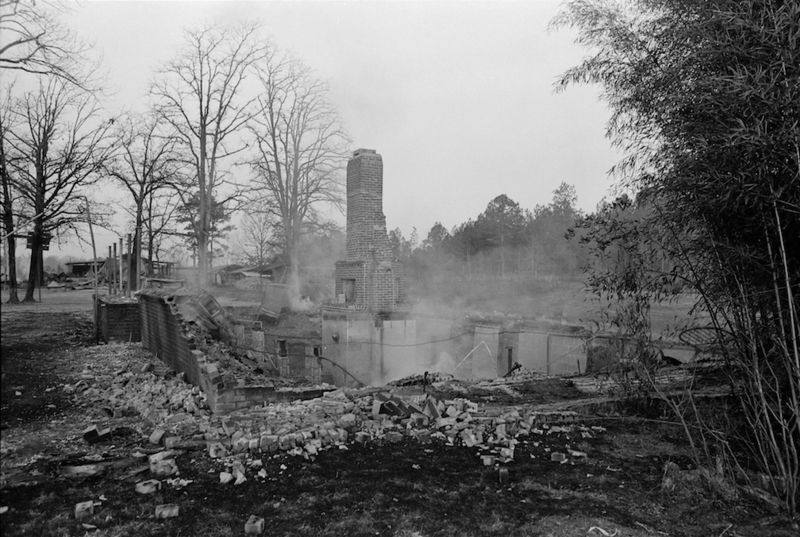 Lyndon B. Johnson launched a federal investigation into the crime, leading to the arrests of fourteen Klansmen on arson and murder charges. One man entered a guilty plea and juries convicted four others. KKK Imperial Wizard Sam Bowers, who was accused of ordering Dahmer’s murder, finally received a life sentence in 1998 after four earlier proceedings ended in mistrials. Vernon Dahmer remains a hero of the Mississippi black freedom struggle. A Hattiesburg park and street bear his name, testifying to one cost of the battle for racial equality in Forrest County. John Dittmer, Local People: The Struggle for Civil Rights in Mississippi (1994).